Paul Schraders recent output, The Dying of the Light and The Canyons, are so bad you would be okay to forget the seminal works he has been a part of. Taxi Driver, The Last Temptation of Christ, American Gigolo....these films are important works in the history of cinema and none of them would have happened without Schrader. 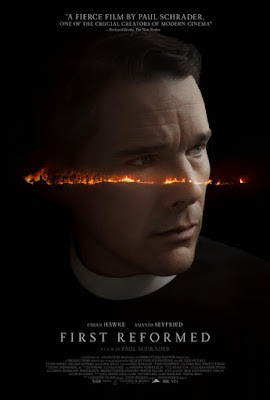 In short, he could use something to remind us how good he really is, and it just might be First Reformed. First Reformed opens May 18th.